Dr. George Ervin Jr. is the leader, Sr. pastor and founder of New Birth Christian Center; and exciting, growing, bible believing church under the leadership of the Holy Spirit. Pastor Ervin is a dynamic and respected spiritual leader, teacher, and author who is dedicated to the needs of Kansas City and the surrounding area. Pastoring for over 30 years, Dr. Ervin is known throughout the community for his vibrant worship, insightful teaching, inspiring preaching, and comprehensive ministries that meet the needs of his church family and the surrounding communities. New Birth Christian Center is an equipping center for evangelism and discipleship unsurpassed in quality, giving families and individuals a biblical alternative to discover the totality of the Christian faith through Christian education and faith in God. He is committed to helping individuals and families reach their God given potential and offering a great place to worship, discipleship, evangelism, fellowship, and prayer. 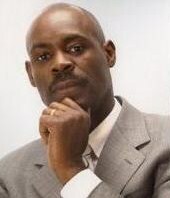 Dr. Ervin was educated at Joliet College (Joliet, IL), Eastern Illinois University (Charleston, IL). Ottawa University (Ottawa, KS)-(BA), Central Baptist Theological Seminary (Kansas City, KS)-(M.DIV), and Virginia Union University (Richmond, VA)-(D.MIN). Dr. Ervin is the President and founder of the "Quad-City Community Development Corporation" who's community-based ministries focuses on the holistic approach to helping people reach their God given potential. Dr. Ervin is known by many as a man of humility, a man of faith, and a man of great vision. Dr. Ervin is married to the former Ms. Annette Marie Riley, and educator, and is the father of two wonderful children; Gabrielle Marie, and George (Trey) Ervin III. Lady Annette Marie Ervin, affectionately known as "First Lady", is the wife of Pastor George Ervin Jr. She is a Christian woman of virtue, poise, and grace. Lady Annette is known for her great spiritual wisdom, her insightful dedication to the needs and concerns of very member of the New Birth family. Lady Annette has a special anointing for ministering to the needs of women, and reaching out to the spiritual and emotional healing of those who are broken and hurting. People of all ages respect her keen ability to help all of us as we strive to reach our God given potential. As Director and Facilitator of the "Victorious, Virtuous Woman" seminars, she has made it her commitment to help women by equipping them with the tools needed for making an impact on their lives, their children's lives, their relationships, their marriages, and the lives of their peers. 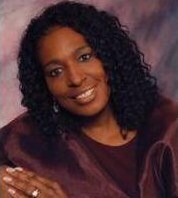 Lady Annette is a highly respected educator who has been touching the lives of parents and children in the Kansas City, MO School District for more than 20 years. Her dedication and commitment to each of those lives that she has touched has afforded her the respect and reverence of many. Mrs. Ervin received a Bachelor of Human Resource Management from Kansas University, and a Masters in both Personnel Management and Education at Central Michigan University.